Grampians Walkway is the most popular track on Grampians. 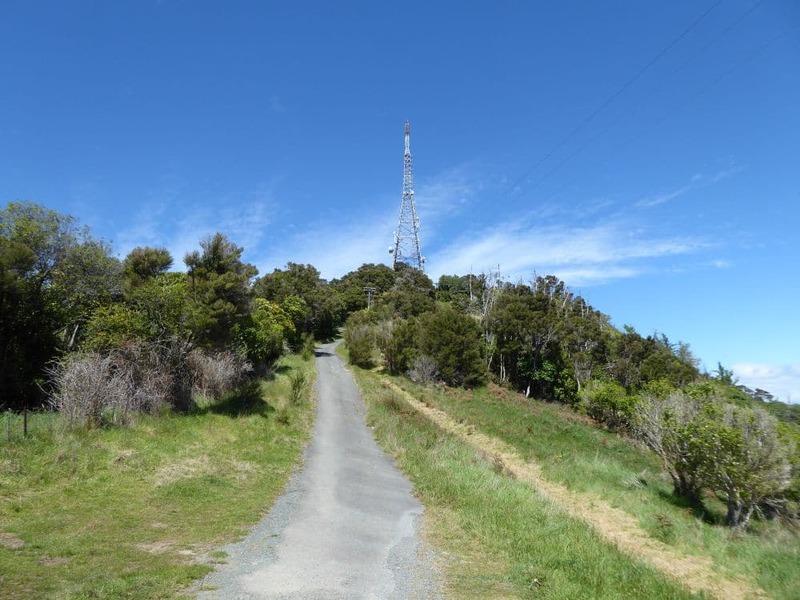 Beginning at the uphill end of Collingwood St on the edge of central Nelson, the walkway climbs the ridge to the TV repeater station at the summit (390 m). 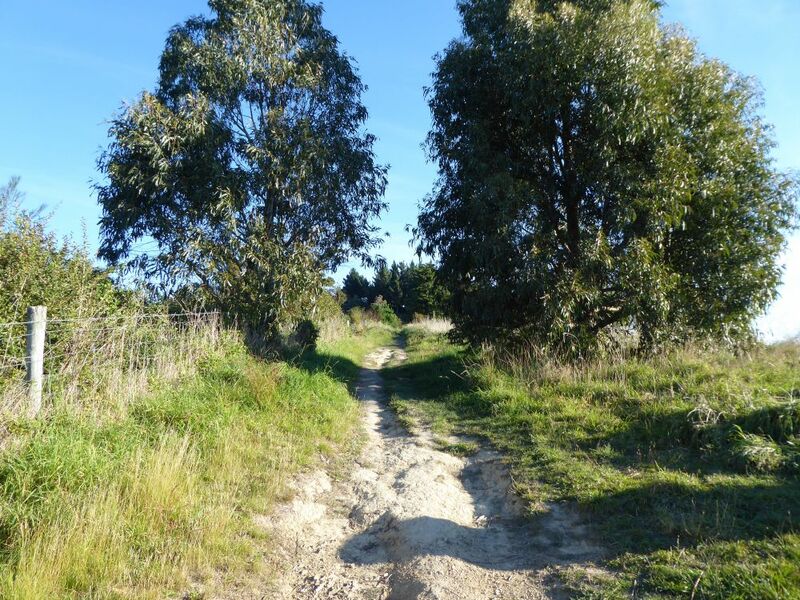 It is great as a return trip and it can also be combined with other Grampians tracks to create a longer circuit. 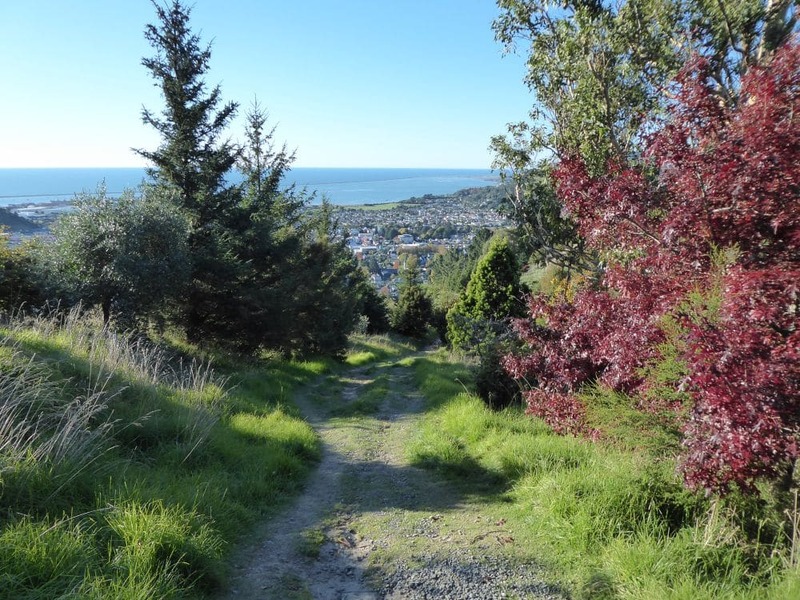 The walkway involves a reasonable amount of climbing, though spectacular views of the central city and Tasman Bay are on offer. Grampians Walkway begins at the uphill end of Collingwood St, in central Nelson. The upper section of Collingwood St is steep and narrow, and parking is for residents only. The best places to park are on Collingwood St downhill of Brougham St, or on upper Trafalgar St. 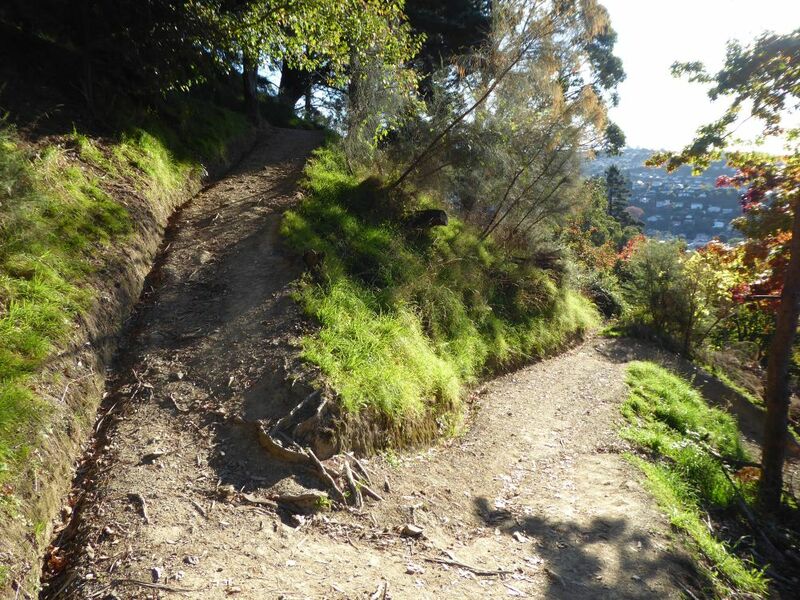 The first section of the walkway is best described as a ‘grunty zig-zag’, as it makes its way up the steep hill slope through well-spaced plantings of mature exotic trees, to the trig at the top of the ridge. 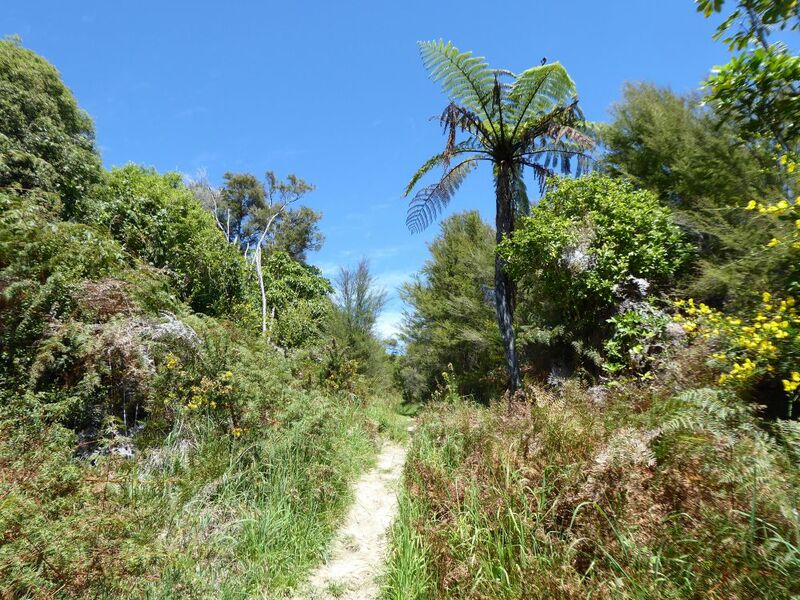 After a short respite from the uphill, the walkway climbs again, straight up the ridge; here you will enjoy one of the best vantage points for viewing central Nelson. 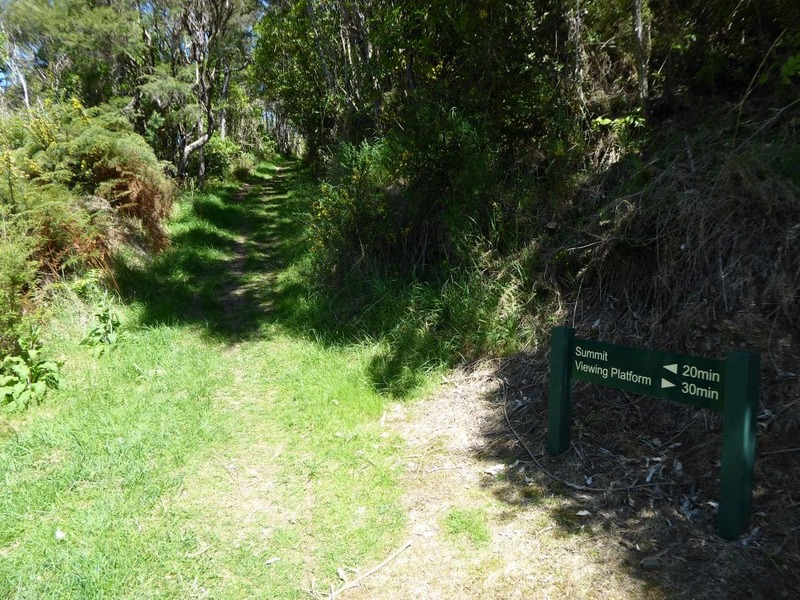 Ronaki Track connects on the right, and the walkway climbs again through a small area of pine plantation, before flattening out again on a wide grassy corridor and meeting Grampians Summit Road and Kānuka Track. Continue up the walkway to the lookout platform, which is a short deviation to the right, and then on up to the transmission tower at the summit. There are multiple options for the return leg, depending on how far you want to go (see map for options), though returning via Kānuka Track is a good option.